Our 10 consecutive days on the central Portuguese Camino de Santiago began in the pretty town of Barcelos. It took my friend Dori and I two days to walk from here to another of my favourite towns in northern Portugal, Ponte de Lima. Most of this stage was through glorious countryside, as you’re about to find out. We were somewhat concerned when we arrived in Barcelos to find the square opposite our hotel throbbing with fairground music and lights. The annual Festa das Cruzes was due to kick off a week-long celebration that evening so we were relieved to find our room at the back of the hotel was shielded from the noise. The lights and the row of decorated arches made by each of the surrounding parishes were an unexpected treat, especially the one dedicated to St. James (Tiago). We spent a leisurely afternoon wandering around Barcelos before beginning our pilgrimage. Many of the giant cockerels I’d seen in the streets on my previous visit have been replaced by folk statues. If you want a ceramic folk figurine of your very own, or simply the chance to admire the variety of the form, visit the medieval tower, which now houses a display of traditional ceramic figurines. My favourite is this manic-looking dancer! 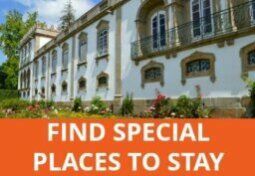 Here’s more about what there is to see and do in Barcelos. The Camino Português goes past the market square and through the outskirts of Barcelos into proper Minho countryside. This consisted of fields of green speckled with yellow flowers, twisted grape vines just starting to sprout and patches of forest; mainly eucalyptus with some oaks thrown in. The usual signs of small-scale agriculture were evident throughout in the form of grain stores, straw and haystacks, tiny fields full of dark green cabbages and the occasional sheep and goat. The most noticeable animals, however, were the frogs. It must have been mating season because these guys were making a racket! Among the many wildflowers that brightened up the Way, I was struck by the number of arum lilies – there was even a forest full of them although I didn’t get any decent photos. We did, however, find a stone bench under a canopy of heavenly scented wisteria a few kilometres before Ponte de Lima. As you might expect on an ancient pilgrim route, there are plenty of religious monuments and buildings along the Camino. Quaint chapels, roadside shrines and stone crosses are in abundance. One in the archaeological museum in Barcelos depicts the legend of the Barcelos cockerel and the intervention of St. James in saving a wrongly-accused pilgrim from death by hanging. The scenery really started to impress me on the second day when the mountains that border the Lima Valley showed up to accompany us all the way to Ponte de Lima. The last few kilometres through outlying villages were draining but before reaching them, we walked past colourful fields, apple orchards and, of course, grape vines supported by slabs of granite. The last time I walked into Ponte de Lima along the Way of St. James was when I learned about local hero, Blessed Francisco Pacheco. This time, however, the sound of drumming bands greeted us and the normally peaceful avenue of plane trees alongside the river was packed with craft stalls, a marching band and onlookers all set to enjoy a holiday weekend. We were in no fit state to appreciate any of this and squeezed our way through the crowds to find a quiet café for a well-earned beer before locating our hotel for the night. We stayed overnight in Quintiães to break up an otherwise horrendously long stage. Neither of us would have been able to manage 34 kilometres on our first day, let alone do any more walking afterwards. It’s as well we did; we were both done in after 16 km. If I was doing it again, I’d stay in Balugães instead of Quintiães to avoid walking unnecessary kilometres to find accommodation. As you’d expect from towns of any size, both Barcelos and Ponte de Lima have plenty of cafés, restaurants and shops. Outside of these urban areas, cafés are thin on the ground during this part of the walk so it’s best to be prepared rather than hope you’ll find food en route. There is a pleasant café on the Camino about 5 km after Barcelos, opposite the chapel of São Sebastião, and a bar-restaurant in Tamel at around the 10 km point where you can get a full lunch or a light snack. Although we didn’t pass any cafés or restaurants in Balugães, there were signs for a bakery and I’m sure if you venture off the Way, you’d find something to eat in this village. If you’re staying overnight there, chances are you’ll be having breakfast and perhaps dinner at your accommodation. Having started walking from Quintiães, Dori and I were desperate to find a café by the time we reached Vitorino dos Piães (about 8.5 km into our day and around 6 km from Balugães). After admiring the sarcophagi near the church, we made a small detour to the right (well-signposted) to a café that is on the grotty and weird end of the spectrum but we didn’t see any other options for a further 6 km so were grateful that it exists. The next eateries on the Way are a café and a bakery in Seara. We didn’t stop here but at this point, Ponte de Lima and its restaurants are still another 6 km away, with no cafés in between. Tip: Take a packed lunch with you for the stage between Balugães and Ponte de Lima. 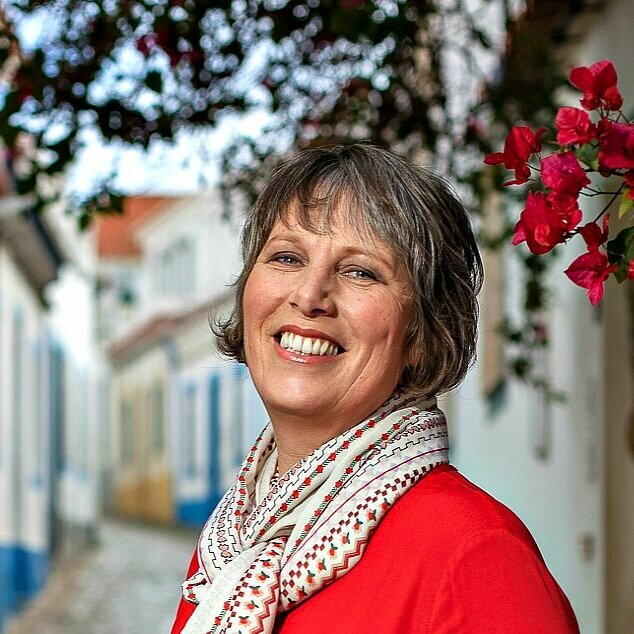 Need help organising your Portuguese Way of St. James? 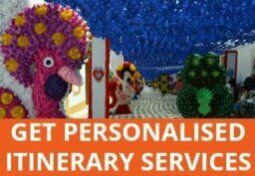 If you like the sound of the ‘pampered pilgrim’ option with hotels, luggage transfers and the reassurance of an emergency contact, click the button below to make an enquiry. Just returned from walking a section of the del Norte Camino in Spain. Thoroughly enjoyed it and we are planning to walk the Portuguese Way next spring. We were a little daunted by the 33 kms stage between Barcelos and Ponte de Lima. So glad we found your blog. Will definitely look at breaking the walk at Belugeas, as suggested. Many thanks for sharing your photos and journey. Well done on your adventure! The scenery and tradition is amazing. Your post has brought back memories of when I was in Praia design Region in the Algarve. Thanks. There’s more to come, too. Yes, try. It’s no walk in the park, believe me, but it’s rewarding in so many ways and I can see why people keep doing the different routes. Now that I’very done both the coastal and central routes, I’m already wondering where next! It looks as though the Portuguese Camino is a less popular route for pilgrims, and that makes it more appealing in my estimation. I think I’d rather bike it, though! Congratulations on your achievement! Yes, Betsy. It’s much quieter than the Camino Frances through Spain, although the central route is gaining in popularity. The coastal route is the newest kid in town. Some days I didn’t see a single other pilgrim. Hi Noel, I absolutely recommend it. And there are actually two routes you could choose – the central Way, of which this is part, or the Coastal route. I’ve always been intrigued by walking the Camino and walking it in Portugal would be an interesting challenge! Your advice was really helpful, especially about breaking up the journey on the first day. Walking 34 kilometers would be tough the first day! 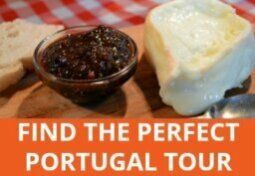 Hi Janice, one of the nice things about the Portuguese Way is that you can do it in 12 days from Porto, in theory! I’d advise allowing longer so you can have a couple of rest days in between. In fact, now that I’ve been back to do the two days before Barcelos, I’d say that Barcelos is the best place to start because it from then on that the scenery gets more beautiful. 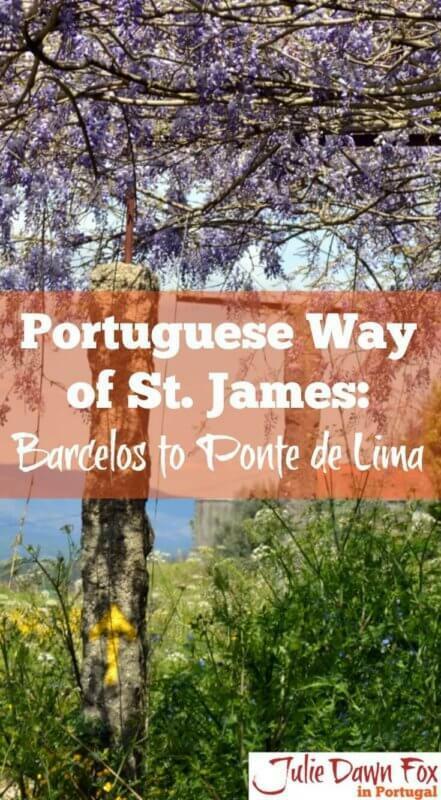 I’m not familiar with the Portuguese Way of St. James, but I loved the countryside we drove through the area and this sounds like a wonderful way to explore Portugal. Appreciate the helpful tips on breaking up the journey. It’s hard work but totally worth the effort as it gives you the opportunity to see places you’d never normally go to and observe daily life and country practices along the way. What a great post! I recently spent March and April 2016 in the region of Porto, Minho and Douro Valley and fell in love with the place! If I could relocate anywhere in Portugal, I think it would be to the Minho. Always enjoy you adventures Julie. I can’t wait to get over there and do it myself on bicycle.